Welcome to Degrees of Abstract – 2Gb of sounds that take you on a panoramic journey into a fantastic world of sound never taken before. Get ready to enter a whole new soundscape of weirdness, innovation and mind-opening inspiration. Some elements you discover on the way may sound familiar; this is because we have taken inspiration from many genres and styles and tried to give them an experimental twist. If you like the music released by labels such as Warp Recordings, Planet Mu and Ninja Tune etc, we think you are going to love this sample library. This fantastic library comes in multiple formats that should suit every music producer. We think you will find the content very varied indeed – manic beats, chilled out pads, disturbing SFX, serene vocals, futuristic synths, gentle guitars and a whole lot more! 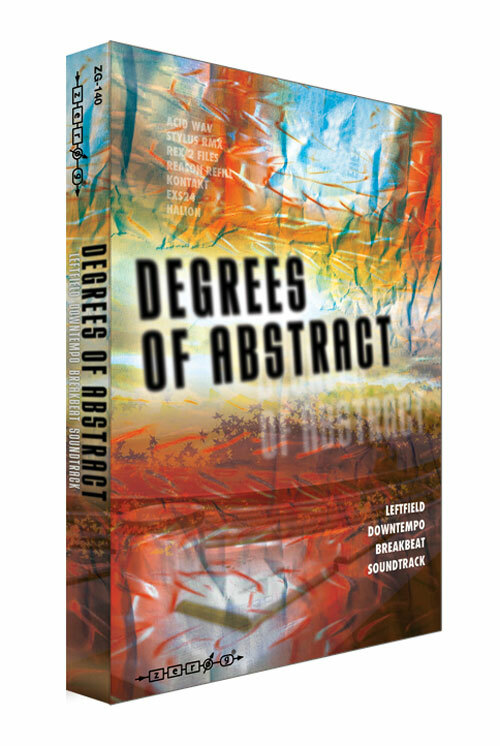 This library is your first-class ticket to great sounds – which doesn’t by any means promise a comfortable, safe or banal journey; but what you can expect is an exhilarating and erratic tour of the world of abstract!